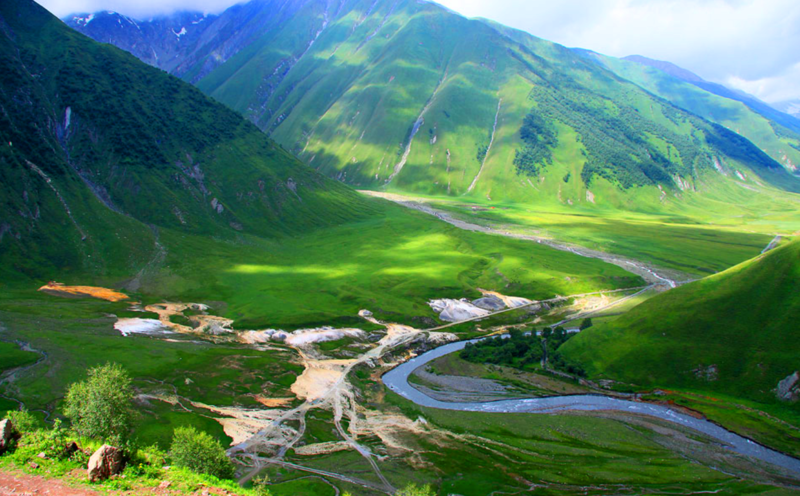 Truso Valley, source of Tegri (Terek) River is quite mystical and spectacular , worth hitchhiking+hiking if you happen to be in Kazbegi for more than a day. Truso valley is known for its mineral water springs, white/yellow travertines, mineral lake with bubbles, towers of middle ages, -most notably Zakagori castle, villages on a very high altitude such as Resi (2350m), tasty cheese and Ossetian Khabidzginas (khachapuri with cheese and potatoes) and nice people. 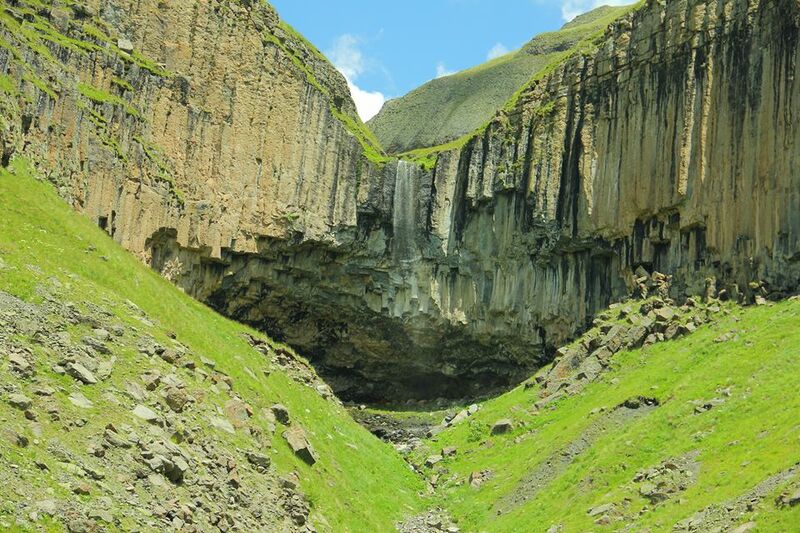 Unfortunately, conflict between Ossetians and Georgians and border closure by Russian government (Locals had winter pastures in the lowlands of northern Ossetia) made this gorge abandoned. Easy to hike/bike, if you want to reach abandoned tower villages of Zakagori, Ketrisi and Abano but experienced hikers can find it extremely interesting and unique experience to visit Alpine Lakes of Keli pleatau -Kelitsadi Lake (3100m or smaller one at the altitude of 3300m) or alpine lake on the other slope in Mna gorge (3300m). 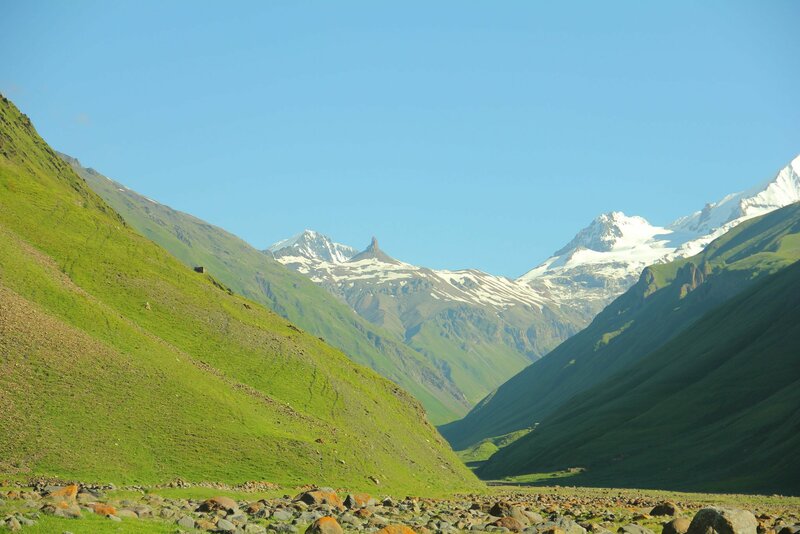 But make sure you have your ID with you and get a permit in Dariali gorge (near Russian border check-point near Kazbegi) if you want to explore Truso gorge further. By Summer 2015 you could reach Abano, Ketrisi, Zakagori villages and travertines without permit, but if you want to explore further, visit the gorge to the end – till Resi village or visit the alpine lakes you need to get permits as there are military checkpoints. Beware that, Tegri river often steals bridges and from Nogkau village you need to take serpentine to get to Abano village. The best time to visit is from May to November for the valley which is very beautiful in spring bloom and yellow/white in late autumn. 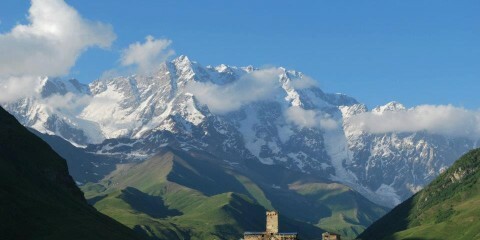 Sunny weather with a blue sky and Mt. Kazbeg and ,,Mna Fang” – (rock with a a particular shape is called მნის ეშვი -Mna fang – among Georgian hikers) could be seen is the best time to visit Truso. 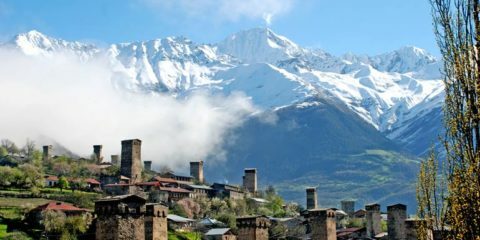 To reach Truso either you take a jeep from Kazbegi or hitchike/take a taxi (Marshutka from Tbilisi) to Kobi village on the central highway – it is just 17km so 50 GEL must be maximum for taxi to my mind. From there you will have a long and enjoyable journey in the gorge. 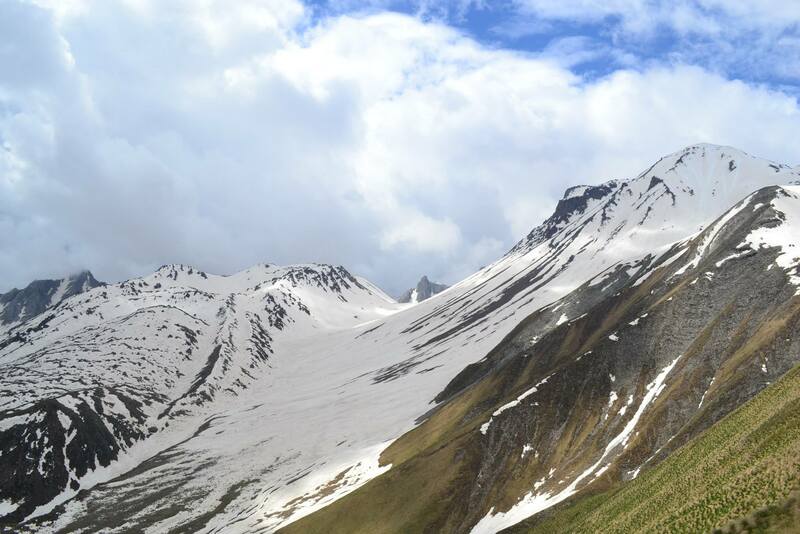 – Kelitsadi lake (you should get a permit first) is quite difficult hike which requires 3 days + one night camping in Nogkau ahead of hiking. The second day you can use to rest on the banks of Kelitsadi lake and enjoy your journey. From Nogkau you should start with serpentines and then check for gps track provided where to head up across the pass, then you will have 1.6km vertical, enough water especially in case of sunny weather, comfortable shoes for some stones/plants; Check for weather forecasts ahead – beware of strong rain/snow storms; You can also visit small lake first across the pass at the height of 3300, it will be beautiful but different in different seasons. Then still some ascent till you cross the mini pass and arrive at Kelitsadi Lake where you can camp and enjoy at least one day. 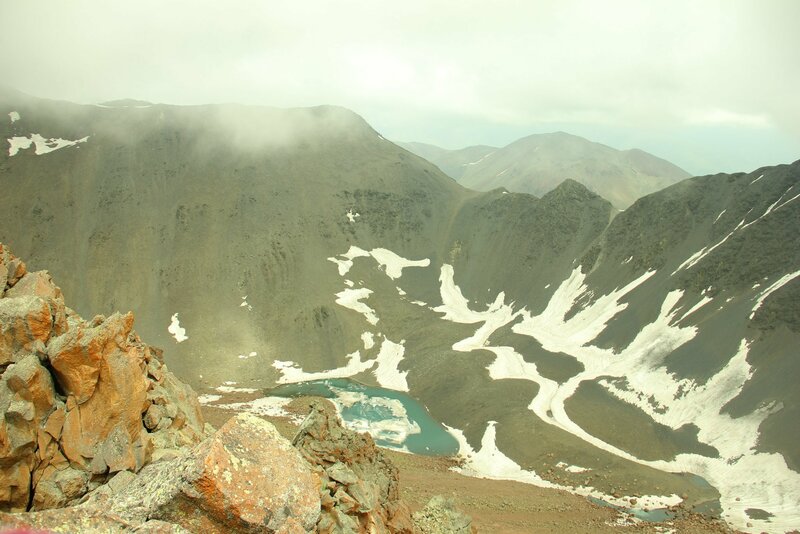 There is Archvebi lake across the mountain which is the de facto border between South Ossetia so you are not allowed there but some people still managed to visit and come back and some people managed to visit Tskhinvali prison for a short time. Till 2008, the best option was to continue from Archvebi to Keli lake and fully explore the Keli volcanic plateau and descend in Mleta below Gudauri but now going further south from Kelitsadi lake is not recommended/possible. 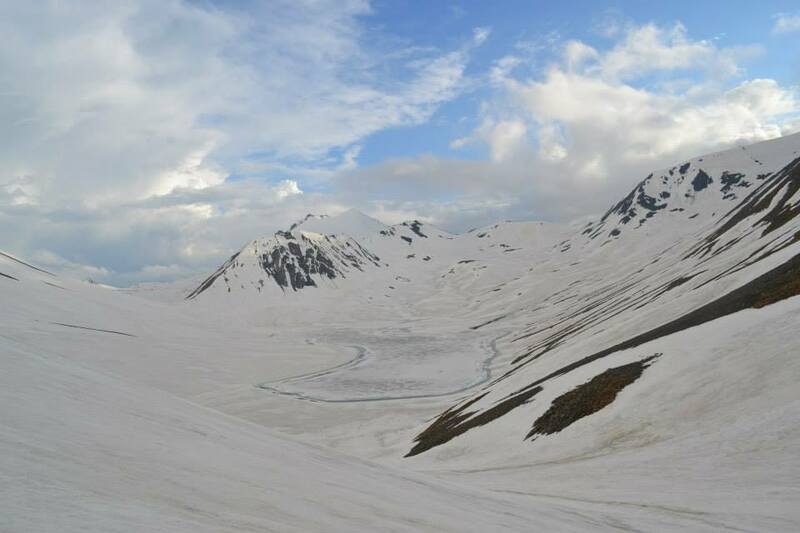 The best time to visit would be ideally from late July till the first half of September when it less snow, but partly frozen Kelitsadi lake in late June/early July is even more beautiful. 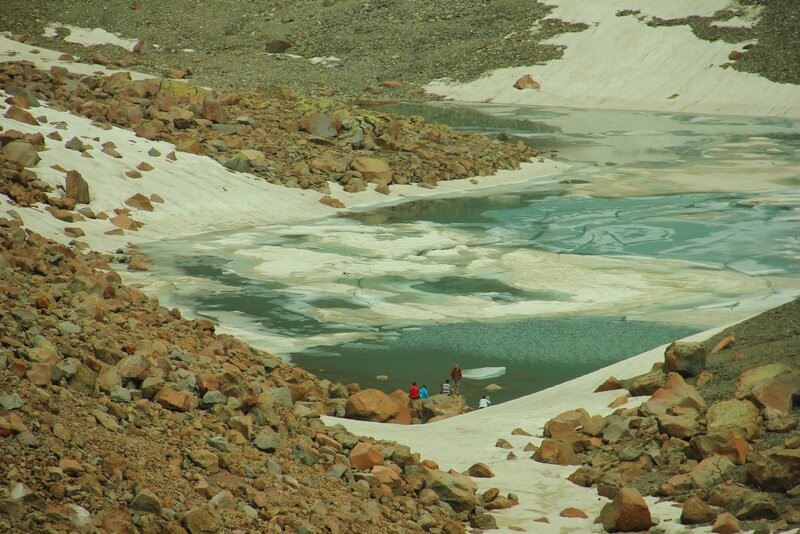 -The second lake is on the other side of Tergi river, in the valley of Mna which flows down from the glaciers of Mt. Kazbeg. 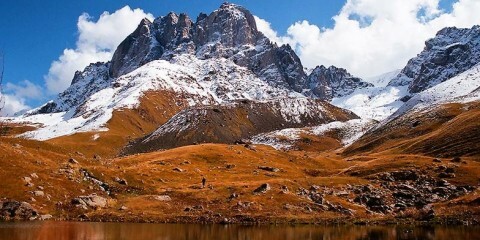 I have not personally visited that lake but I am planning to, only my friends did and as I know there is no path leading to that lake but it is very spectacular! 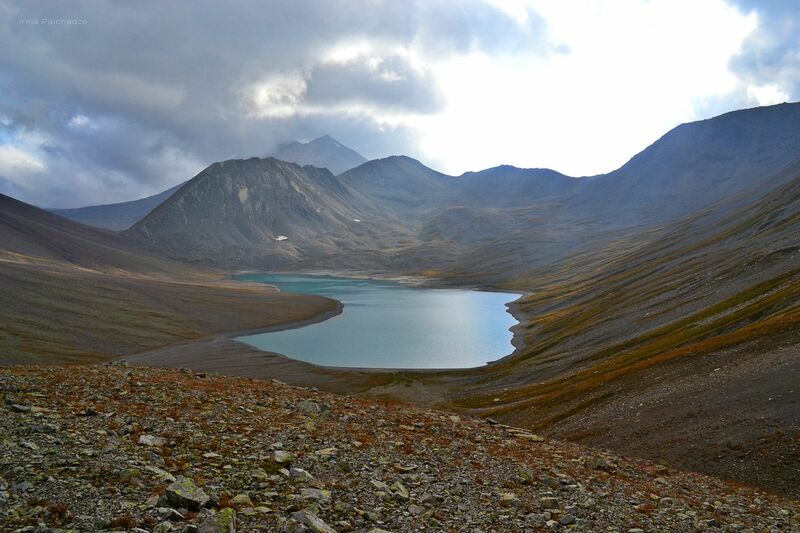 Coordinates : 42.633794° 44.501112°; You can further go up to Sherkhota vulcano (3570m) from the lake. On the way to the lake you can visit waterfalls of Mna valley. You also need permit for the hike. For the waterfalls and to reach Bethlehem Hut (Meteo station) from Mna valley you can download the gps tracks provided by Geoland. But you should be specially prepared for the last one as there is a glacier to cross on the way to meteo station. Hi Jan, It depends what you would like to do. For an easy walk in Truso valley to the villages Abano, Ketrisi and Zakagori castle you dont need any permit. For Kelitsadi Lake which will be not or hardly accessible till the end of June, you will need permit. Its free and you can get it in Dariali near Russian border check point or in Tbilisi at border police office at Kandekali st. http://bpg.gov.ge/en/border-police/structure/land-border-defence-department. Enjoy your stay. 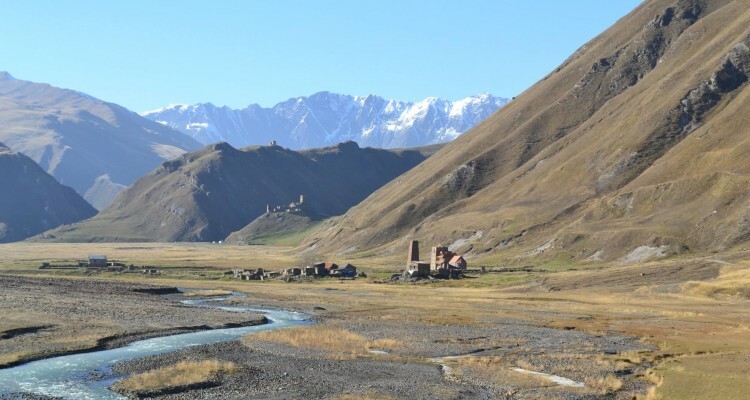 You can also visit Tsdo and Juta villages near Kazbegi. Is it possible to get to the Zakagori fortress in mid-April?